Lock on your umbrella! 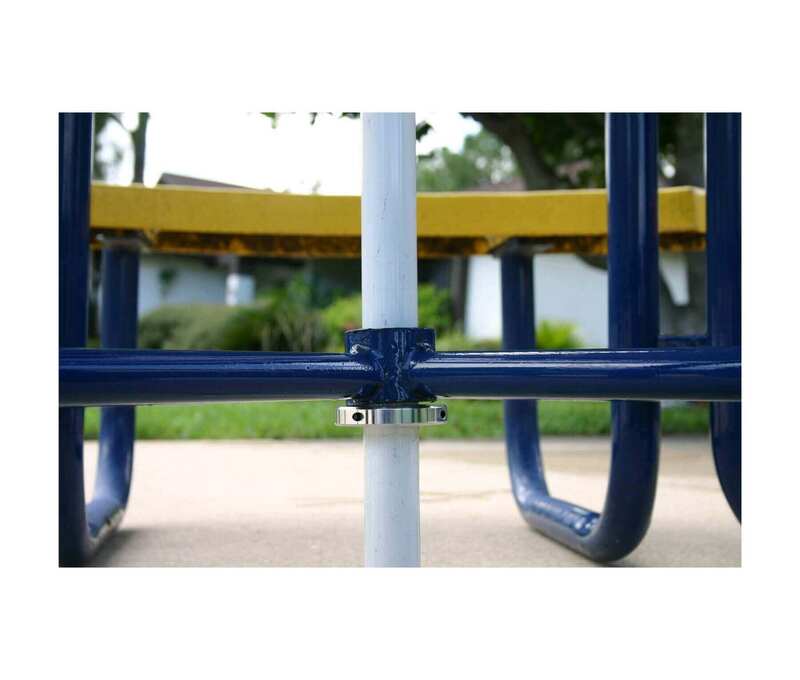 The UBrace is strong enough to lock any umbrella with a 1 1/2 diameter pole to an umbrella table to stabilize the system and provide security. Our cartoon picture shows how the table and umbrella become one unit that combines both the weight and size of the table to keep the umbrella in place. Can be used with or without a standard umbrella base depending on the weight of the table. We recommend 75 pounds to be a minimum combined total weight of the table, umbrella, and base. 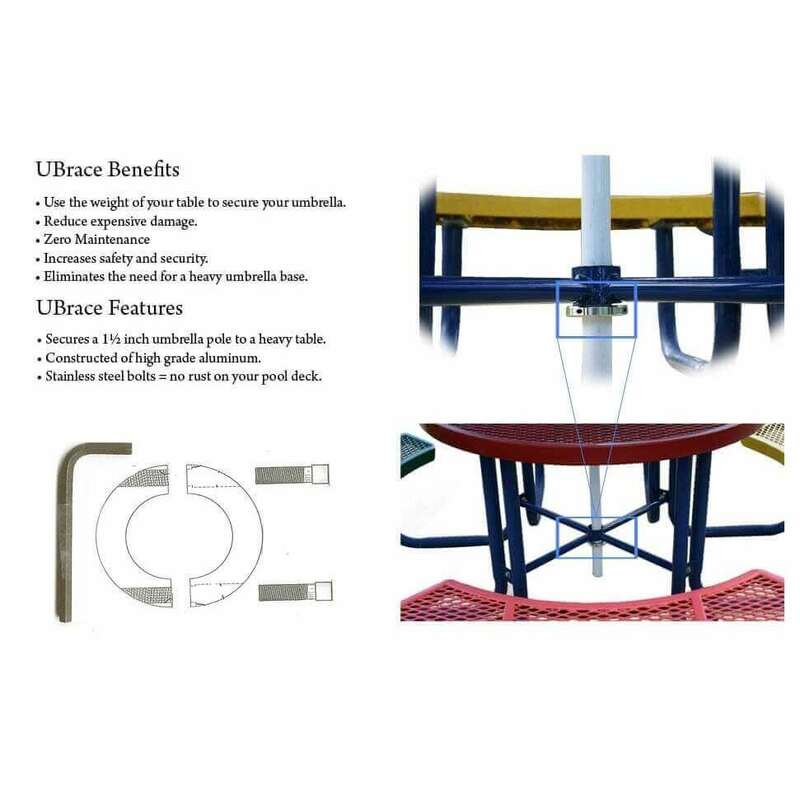 UBrace-2 is an assembly of two collars that are installed on the umbrella pole above and below the table. This sandwich effect assembly causes a combined weight of the table, umbrella, and base to stabilize and keep the umbrella from flying. Reduce liabilities, maintenance and wear and tear of your outdoor dining furniture. 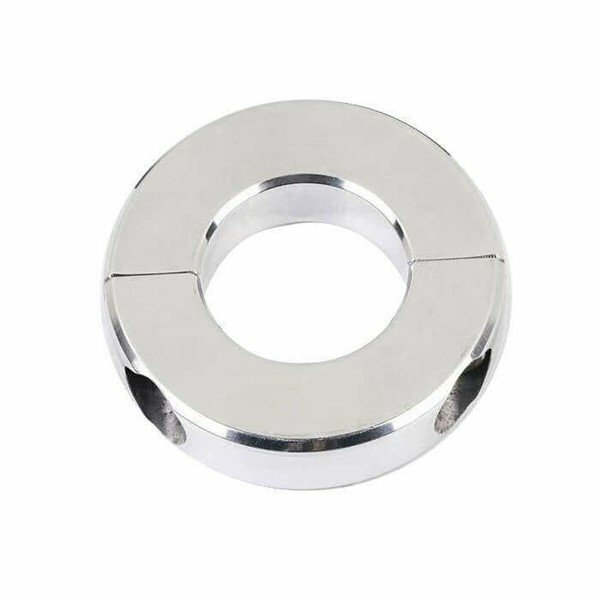 Designed for use with a 1 1/2" diameter umbrella pole only. 19" Aluminum Commercial Grade Umbrella Base, 50 lbs.